A strange alien species deserves a suitably strange and alien-looking space craft. 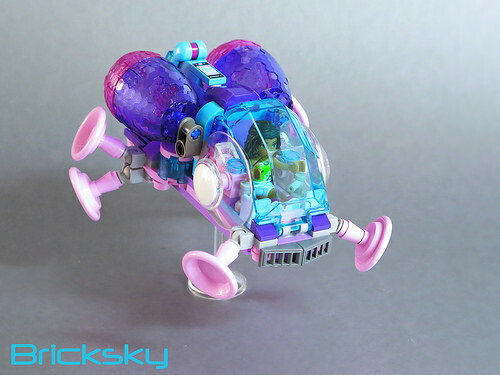 So this star fighter by Tyler Sky is the logical runabout for those mysterious and unfathomable creatures, the LEGO Friends. And it goes great with Tyler’s Friends roadster!